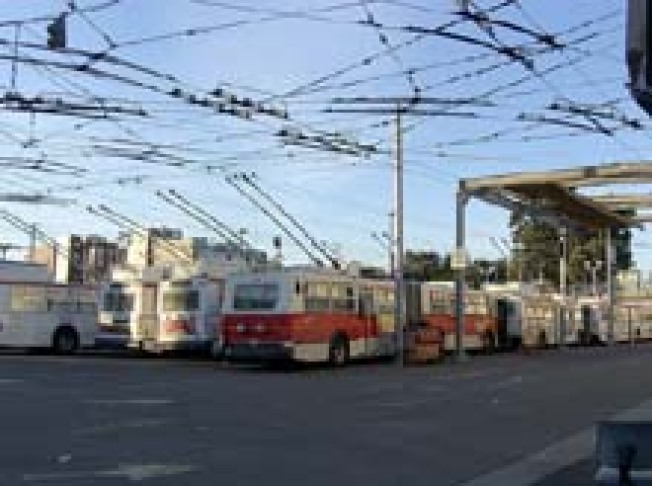 Ask Curbed SF: Rumblings in the MUNI Graveyard? The MUNI graveyard, at Cesar Chavez and Indiana Street, is where dead and dying trains are laid to rest. But it seems not all are resting in peace. Or so says one Curbed reader. "Lately they have been doing some construction there and have extended their fence to the sidewalk. Do you know of any plans they have for that space?" Once again, we turn to you, knowing readers, for your ears to the rumormill. Any Potrero or Bayview residents hip to this graveyard action? Let us know what might be going downcoming up!